Gradually add the borax mixture to the glue mixture. Continue to mix the glue with your hands as you add the borax. Continue to mix the glue with your hands as you add the borax. 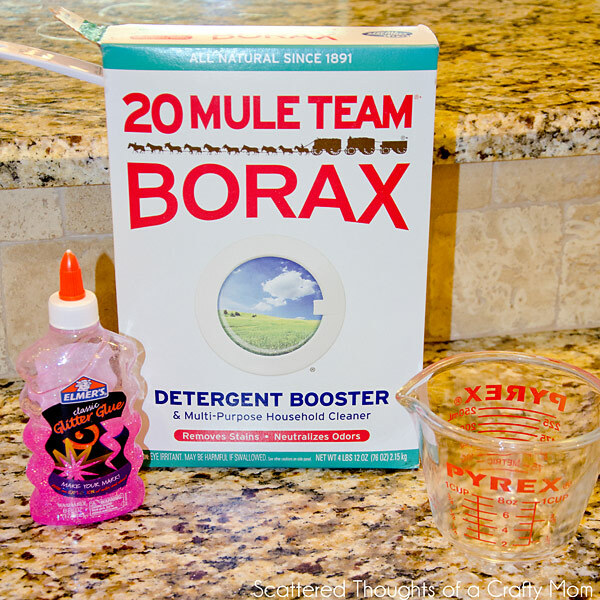 Once all of the borax has been added, use two hands to knead the solution.... Metric measurements 25mL glue, 20mL water, 15mL Borax SolutionNo matter how many times I do this, I never get bored making it. It acts like snot but it isn't sticky. It flows like slime but isn't greasy. The best part is you can make this "Silly Putty Like" substance at home. All you need is the Borax (Sodium Borate) and Glue. Gradually add the borax mixture to the glue mixture. Continue to mix the glue with your hands as you add the borax. Continue to mix the glue with your hands as you add the borax. Once all of the borax has been added, use two hands to knead the solution.